This bowl is such an eye catcher! 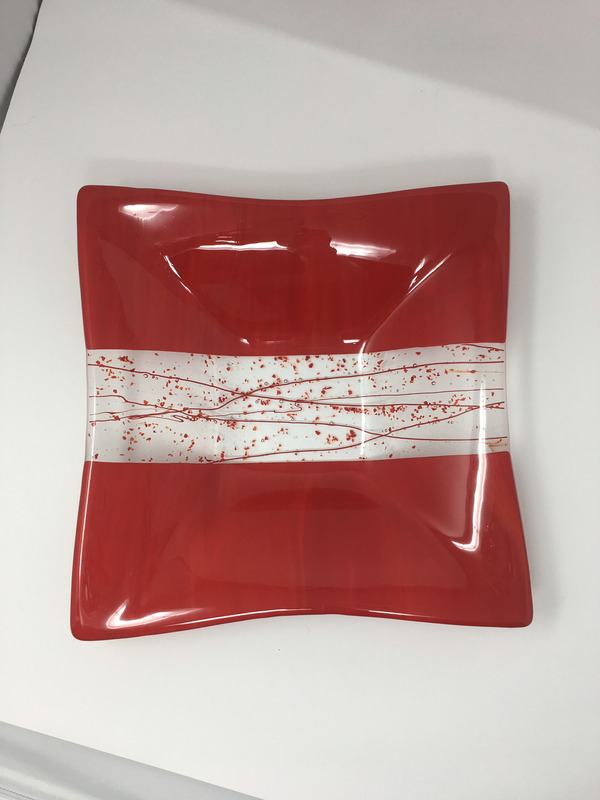 It is a beautiful shade of red on top and bottom encasing a strip of clear glass trimmed with red stringers and frit. For those of us that love red, it’s love at first sight!